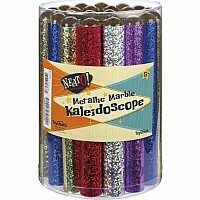 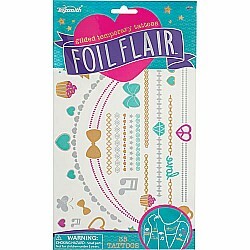 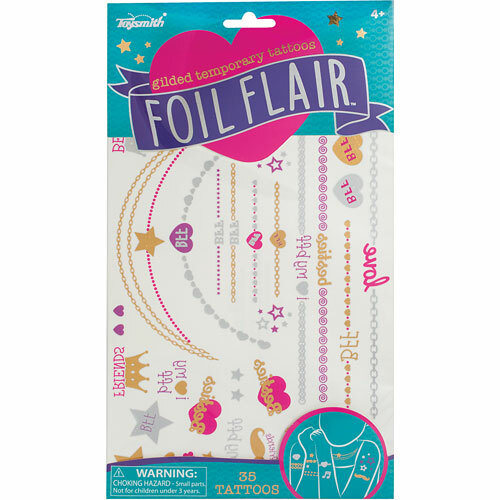 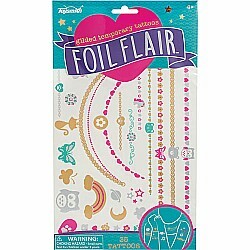 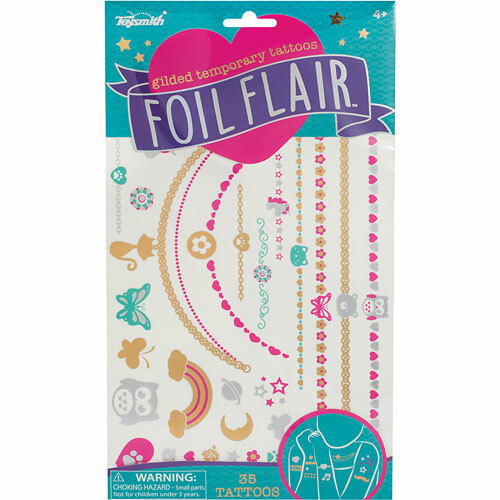 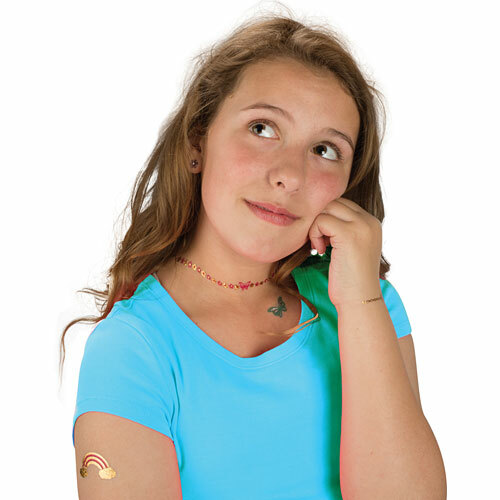 Create instant adorable glamour with Foil Flair temporary tattoo jewelry. 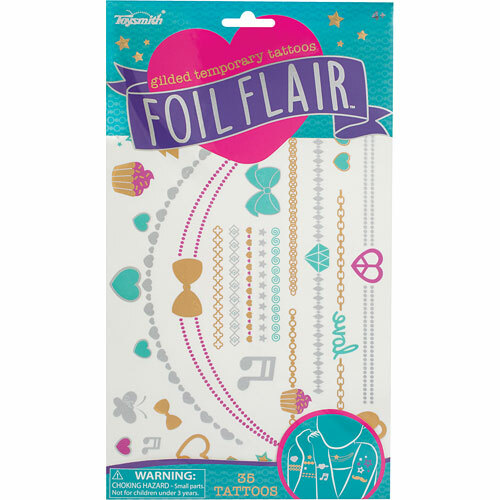 Three fun and sweet styles with metallic accents, shapes and words. 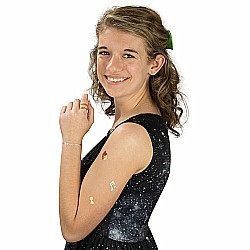 Includes 35 tattoos.